Patents are crucial high-value assets and are frequently the key consideration in the valuation of a business. Conversely, the intellectual property assets of others can slow you down, block you, or break you. You expect and need team members with relevant technical knowledge to counsel and support you. 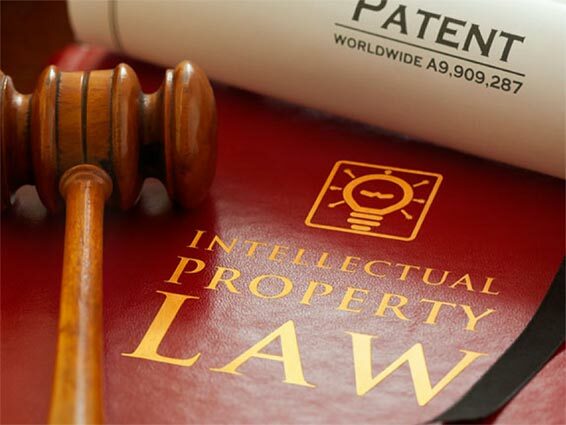 Many of our attorneys hold advanced technology and business degrees and are registered to practice before the United States Patent & Trademark Office. We handle the full spectrum of industrial, medical and consumer technologies. Protecting the brand identity of your goods and services generates goodwill for your business. Similarly, obtaining copyright registrations for creative works ensures that valuable artistic creations are protected from unauthorized copying. We provide assistance through every stage of the life of a trademark or copyright and have an extensive network of foreign associates to assist in expanding your intellectual property protection worldwide. Intellectual Property disputes are complex, high-stakes, high-cost and high-value undertakings. You expect and need a team of attorneys comfortable with both litigation and technology intricacies -- team members who can examine witnesses and review documents from both a technology and a business perspective. Our litigators can do that. We understand your technology, your business and the law. Inventors and companies cannot afford to expend precious resources educating their attorneys on the technical aspects of their products. At Christopher & Weisberg, our attorneys have science or engineering degrees in a variety of disciplines including electrical, mechanical, aeronautical, and biomedical engineering, as well as agriculture & plant science, and physics. Our attorneys have been recognized by their peers and top legal publications for their technical and legal acumen and other accomplishments in all areas of intellectual property law, as well as business experience dealing with technology companies, large and small.